Walking into a piano showroom could be a very daunting experience. When the piano is for your 13 year old son and you know nothing about pianos it could be even more daunting. However, not with Ben (Wheeler). Immediately we felt very comfortable and ‘at home’ looking at the various pianos on display. Initially we were looking for a second hand baby grand piano but came away very happy, having purchased a new white baby grand piano instead! The communication all through the process was perfect and Ben was always there to offer advice and information. The delivery of the piano was easy and quite an entertaining spectacle! 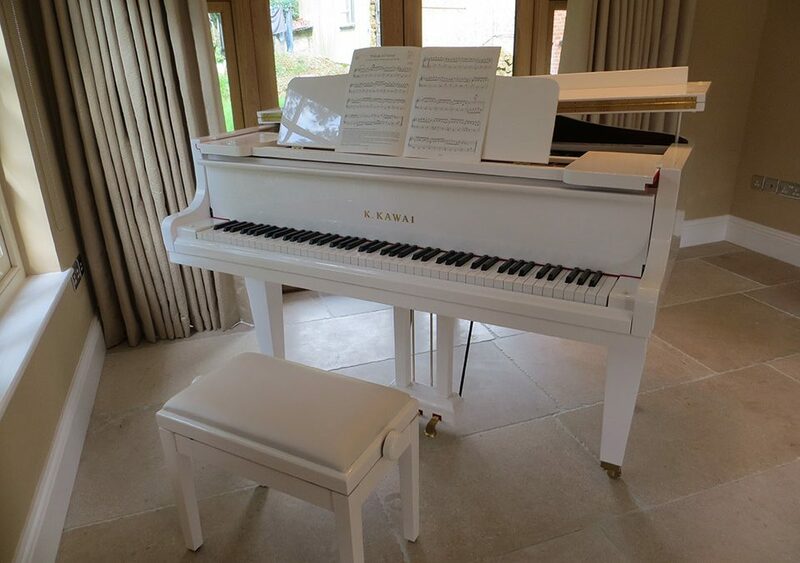 Indeed my comments to Ben at the time were “Lovely to see you and Neil on Wednesday and to meet our beautiful new addition to the family……very exciting….thank you.” …And that’s how we still feel about our piano, it being a wonderful addition to our home. It sounds absolutely beautiful as our 13 year old, Campbell, plays it. Campbell’s comments being “Ben was amazing in helping me know which piano was right for me”. Thank you again Ben for all your help, Campbell, Lindsay and Ted.